The Reloop RP8000 is a classic turntable with a modern twist – it’s got buttons onboard that send and receive Midi data from your laptop, letting you control functions in your DJ software. 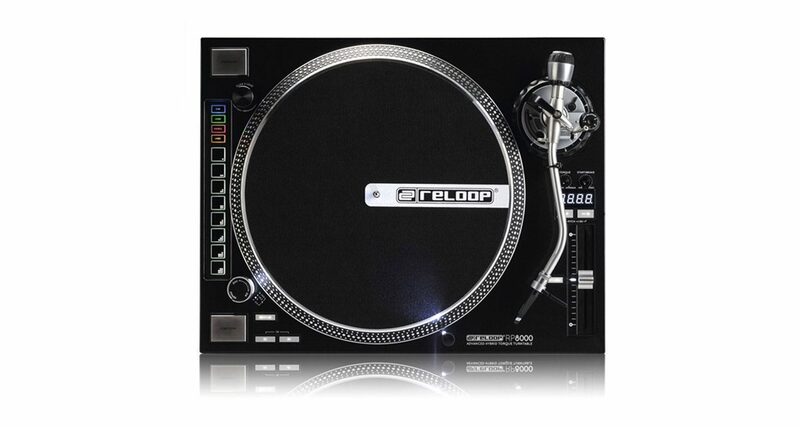 The Reloop RP-8000 is a modern turntable that combines classic functions with digital control to your DJ software via four performance modes and eight mappable Midi controller buttons. The RP-8000 is an Official Serato Accessory, which means that it works with Serato DJ straight out the box. The RP-8000 has four performance pad modes meant for use when spinning with Serato DJ: Cue, Loops, Samples, and Slicer, where the first three modes can be triggered simultaneously by pairs. You then have the eight Midi buttons that trigger the modes, giving you eight cue triggers, eight loops, and eight samples, respectively. Using two performance modes simultaneously will divide the eight pad’s functions (eg four buttons assigned for Cues and four buttons for Loops). There is also a User mode, where all the pads and other Midi compatible elements open up to full customisation. The RP-8000’s torque is great for quick cuts and scratching more so because you can customise the settings with the torque and brake dials. Another new feature is the Digital Pitch Display which shows the BPM of the current track, allowing you to sync your tracks directly at the turntable. At its core, the RP-8000 is everything a modern digital DJ wants in a turntable. It is well-made, German-designed, built to last, and is the first in the line of turntables to integrate Midi capabilities. There is no question that the RP-8000 is a solid turntable with great performance plus the additional Midi buttons and features that let you do away with using additional controllers such as Novation Dicers. It’s quite expensive at US$700 a piece, bringing you to US$1400 a pair, but you do get what you pay for when it comes to turntables. If you’re a full-on DVS Serato DJ user, then this turntable should be on your shortlist.